TIM GIRVEN, THE LEGAL 500: Good morning ladies and gentlemen; my name is Tim Girven, editor of The Legal 500 Latin America, and I will be chairing today’s round table event. It is a pleasure to welcome you this morning and I would also like to thank our local sponsors, TozziniFreire Advogados for hosting this event. We have a range of topics we would like to cover this morning but first of all, perhaps I can ask everyone to introduce themselves and give us an idea of their position and responsibilities. That will allow us all to see which industry sectors are represented here today, whether people are working in the regulated or unregulated sectors, and whether their obligations and responsibilities are purely domestic or have an international / multi-jurisdictional aspect. After that I will hand over to our guest speaker, Ricardo Sennes, so that we can take a brief look at the economic and socio-political outlook for Brazil in today’s post-election landscape. Thank you all very much. MOIRA HUGGARD-CAINE, TOZZINIFREIRE ADVOGADOS: Hi, I am Moira Huggard-Caine, I am a partner at TozziniFreire and I am also responsible for Institutional Relations. CARLOS MAHFUZ, ALCOA: I am Carlos Mahfuz, I have been with mining company Alcoa since last century (laughter). I am legal director for the Latin American region. ANA CAROLINA FREIRE, AES BRASIL: Good morning, my name is Ana Carolina. Formerly in private practice, I now work at energy company AES Brasil. We operate in both the distribution and generation sectors and own subsidiaries AES Eletropaulo, AES Tietê and AES Sul. I have been Legal Director at the company for two and a half years, and a year and a half ago I became Head of Compliance as well. THOMAS MAGALHÃES, BANCO MÁXIMO: My name is Thomas Magalhães, I work in Banco Maxima. I am the Legal Counsel for the São Paulo branch of the bank. It is a small family-owned bank from the city of Rio de Janeiro which is now moving here to São Paulo; we now have our front office here and the move has allowed me to structure a pro-business legal area. RICARDO SENNES, PROSPECTIVA: I am Ricardo Sennes, a partner at strategic and public affairs consultancy firm, Prospectiva. We have offices here in São Paulo and also in Brasília. 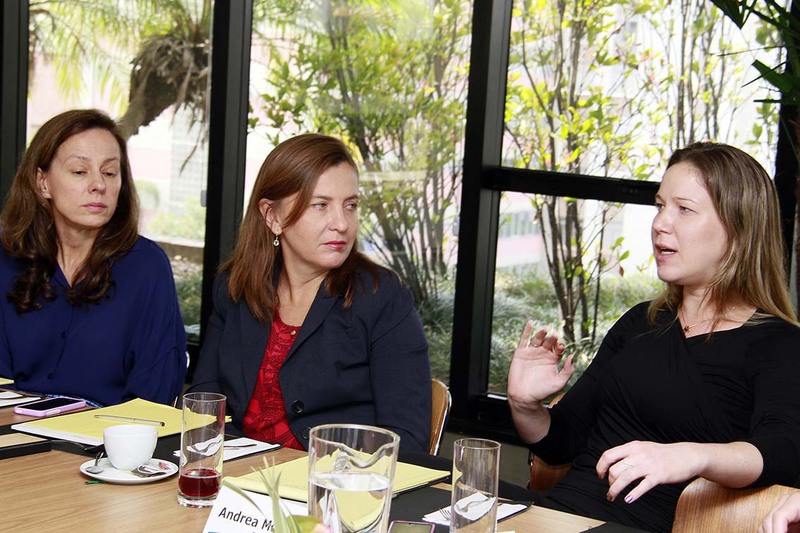 FABIANA SIVIERO, GOOGLE BRASIL: I am Fabiana Siviero and I am the Head of Legal for Google Brazil. You all know Google. We are focused primarily on Brazil, although we do have a Latin American group. But Brazil is enough to keep us busy. ADRIANA EHIAR, TAMPICO BEVERAGES: I am Adriana Ehiar; formerly legal counsel at Diageo, I recently moved to US juice company Tampico Beverages where I am responsible for Latin America. The company has been doing business in Brazil and Latin America for around 20 years. CLAUDIA MAHLER, TOZZINIFREIRE ADVOGADOS: I am Claudia Mahler, I’ve been a partner at Tozzini for 16 years and I coordinate one of the firm’s M&A teams. ANDREA MONTRAGIO, TEVA: My name is Andrea Montragio and I am the GC for the Brazilian market of Teva Pharmaceuticals. Teva is an Israeli company that started its business here in the country 8 years ago and is currently in an ongoing growth process. I am also the liaison for all IP-related matters for the Latin America region. PAULO FONSECA, AMGEN: Good morning, I am Paulo Fonseca. I work for Amgen, a pharmaceutical company devoted to biotech. It is not an American company but rather a Californian one. I have been with the company for three years now and I am responsible for all legal affairs in Brazil. ALEXANDRE FIALDINI, TEMPO ASSIST: Hi, my name is Alexandre Fialdini, I am the Vice-President of Corporate Development for Tempo Assist, a public company owned by GP Investments and Tarpon Investments. It is basically a company that renders services to insurance companies, particularly in the area of 24-hour assistance. DIOGO FERRAZ, XP INVESTIMENTOS: Good morning, I am Diogo Ferraz. 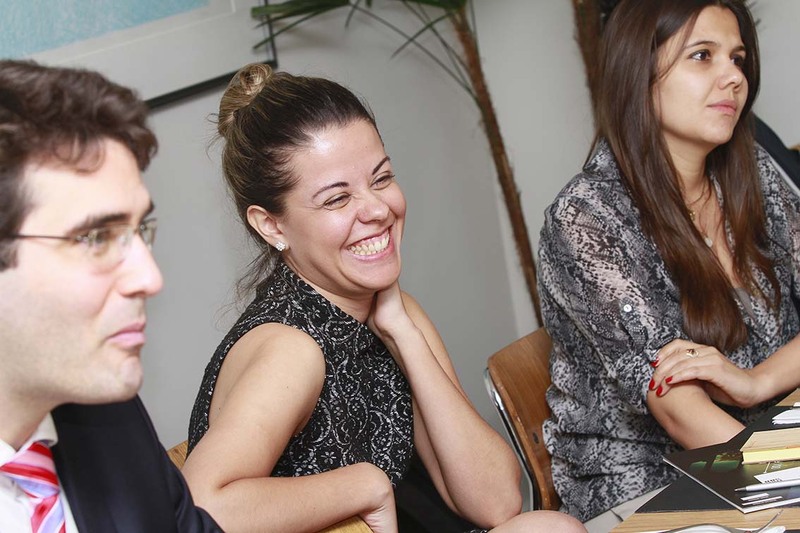 I work for XP Investments where I am a Legal manager, based here in São Paulo. XP Investments is a brokerage firm –also known as an investment shopping center. It is another "Carioca" company [from Rio de Janeiro] that has also now established itself in São Paulo. LEGAL MANAGER, GLOBAL TELECOMS COMPANY: Good morning, everyone, I work for a telecom infrastructure company. It is organized per customer-type and I am the Legal Manager responsible for small operators in Latin America. I have been with the company for six years now and I am glad to be here. RENATA BRANDÃO, BRASKEM: Hi, good morning, my name is Renata Brandão, I am responsible for the financial and technological IP legal team from Braskem, a chemical and petrochemical company from Bahia. I have worked with them since 2010. ALEXEI BONAMIN, TOZZINIFREIRE ADVOGADOS: Good morning, my name is Alexei Bonamin, I am one of the partners of TozziniFreire for Capital Markets in the Banking and Finance Group. MARCOS LUDWIG, MANABI BRASIL: Hi, I am Marcos Ludwig. Until recently I was General Counsel at Manabi which is a start-up mining and logistics company based in Rio de Janeiro, with assets in Minas Gerais and Espírito Santo. Recently, however, I left Manabi for holding company Fabrica Participações, which was the co-founder and developer of Manabi. So I am still involved in that former project but in a different position. TIM GIRVEN: Thank you very much, everybody. What you can see is that what we are actually doing is sponsoring a "carioca" invasion (laughter). Ricardo, if I could hand over to you for your perspectives on both the economic and socio-political horizons for Brazil and what we might expect in local markets in the short-to-medium term. RICARDO SENNES, PROSPECTIVA: Good morning everybody. It is a pleasure to be here at The Legal 500’s GC Powerlist round table, sponsored by TozziniFreire. This is going to be a 20-minute briefing on the current scenario in Brazil. The idea is to present three possible scenarios for the country. Some of the hypotheses are relatively controversial, so feel free to disagree with them. The main questions that we need to answer so as to understand the potential scenarios in Brazil, concern, firstly, the issue of governability; I will try to address how the Brazilian political system works in terms of maintaining governability. Secondly, there are the permanent issues related to social demands: what is going on in Brazil in terms of social policy and the strength of the demands from social classes D and E – and hence their ability to pressure the political system for public policies? The third issue has to do with the state apparatus: how does the Brazilian state work in relation to the Brazilian economy? This last point is a key element if we are to understand Brazil. I will also try and illustrate how the political cycle managed by the so-called PT (the ruling Partido dos Trabalhadores, or Workers Party) has handled this state apparatus. Finally I will touch on the economic challenges that we as a country are facing, and on the early indications as to the composition of the new government and the direction it will probably take. The first hypothesis: what we are facing is not a polarized political scenario but rather, a fragmented political scenario. This is completely different from the general perception of analysts in Brazil and the idea of fragmentation has important ramifications for the governability of the country. The first key element we need to understand is: what is the PT coalition, this broad and heterogeneous grouping that has governed the country for the last 12 years? And how will it managed in the next four or five years. Notably, the PT is not a dominant party in Brazil, but rather a small party that leads a broad coalition with other political forces. Concurrently, the opposition in the country is very fragmented. There is no single political leader in the opposition who embodies or encompasses the full public debate (discourse) against the government. If we had a polarized political system we would have a clear political opposition. However, as we have seen recently, half way through the election process, Eduardo Campos and Marina Silva appeared to be the main opposition, and then suddenly Aecio Neves came back into the equation. There is no clear opposition in the country in the sense of them being organized and capable of presenting an alternative platform. As someone mentioned before we started, Dilma [Rousseff,- President Re-elect] has just taken over the macroeconomic policy agenda of the PSDB [Brazil’s Social Democratic Party]. The point is precisely that the PT has adopted the agenda of an opposing party. Nor does the opposition have a response to such a move, and that too is the point; the opposition is now obliged to take part in the PT agenda in order to represent the majority of society. Why is it important to highlight that we have a fragmented political system? Because if we have a political system with several different aspects, its basic feature is what the political scientists call "presidentialism by coalition". That means that in Brazil, even though we are a presidential system, the president is actually very weak. The strongest element in the Brazilian system currently is the Congress. When there is a weak president, the Congress dominates the political system; when we have a strong president, as we had with Fernando Henrique Cardoso (1995-2003) and Lula de Silva (2003-11), the opposite is true: the president leads a platform that includes Congress. Dilma is much more akin to (Presidents) Sarney (1985-90) and Itamar Franco (1992-95) than to Lula or Cardoso. The point here, in terms of governability, is that after a cycle of two very strong presidents such as Cardoso and Lula, we appear to be returning to the scenario we had at the end of the eighties and the beginning of the nineties, with weak presidents. Over that time, the fragmentation of the political scenario has affected the governability of the country heavily and I suggest that it is this lack of governability, more than a polarized political system, which is the problem here. If we consider the presidential elections, the scenario is more or less as follows: there is division between the southeast and central west on the one hand, and, the northeast and north on the other. In 2002, the country was almost totally “red” or pro-PT; this was a reaction against previous years when in 1998 the population had largely supported a somewhat different program and subsequently endured problems. They population moved in a pro-PT direction. Over the course of the subsequent three elections, we see divisions emerging; part of that division can be explained on the basis of how different areas of the country were affected by the public policies implemented by the PT coalition. Subsequently we see the development of fragmentation and evolution in terms of the emergence of state governments held by the political parties. The PT currently holds 5 [of 27] states; clearly not a dominant position. During the previous period, the PT was even weaker, controlling only three states. So it is not a dominant party. It is nothing like the PRI in Mexico or the Peronists in Argentina, or even the Chavistas in Venezuela, or the Moralistas in Bolivia. It is completely different. The PT’s focus is to keep control of the coalition at the federal level. In order to do that they bargain with their alliance members for support at the state and municipal levels. This is the strategy that we have to understand rather than thinking the country is polarized. If we look at the make-up of the new Congress, we can see that the PT has about 12% of the seats; again, this is clearly not a dominant position. It is a small minority and to start a new administration, as Dilma is now doing (ie: to work with the Brazilian system), she needs at least 70 per cent of the Congress in her coalition, so as to be able to approve the initiatives she proposes. So this is the test for Dilma: how to go from 12% to 70%. Of course if you opt to ally with one of the mid-sized political parties, you have a programmatic bargain: you take one or two of these and you gain 40% of Congress. But you still require a further 20-30%. Where and how do you get that additional support? This is a grey area and, for me, this issue is one of the most important problems in Brazil. Because somehow we have structured a political system that tends to encourage corruption. That is why we think fragmentation is much worse than the possible polarization of the country. Furthermore, if we consider the three [largest] parties, one is slightly center-right, one centrist, and the third is slightly leftist; there is not so much difference between them in terms of their programs. This is another important element to grasp if one is to understand how the political system here works. If, as I have suggested, the political system is currently very fragmented but, at the same time, the whole political and ideological discussion remains very concentrated or narrow. And if one were to take all the municipalities in the country into consideration, the situation is even more fragmented. The second hypothesis is that what we can call the PT’s “tripod strategy” is in decline. I’m now thinking in terms of political cycles, just like Fernando Henrique Cardoso had a cycle based on a strategy for the whole country, not just an economic but also a political strategy. Subsequent to that we had a new cycle, the PT cycle, which is now [as it enters its fourth administration], in decline. Taken together, the Cardoso cycle and the PT cycle have deeply transformed the socioeconomic profile of the country. The Brazil of 2014 is a totally different country to that of 20 years ago, not just in the political sense but also economically. One figure that really reflects this is the following: in 1994, 28% of the voters in Brazil were illiterate; now it is only 7%. In 1994, less than 3% of the voters in Brazil had higher education; now it is over 7%. This means that this year, for the first time, we had elections with the same number of illiterate and highly educated voters. The country is completely different. Several consequences of this process have not yet been understood completely, either by the companies operating here or by the political system itself, and this is a challenge to Brazil’s ‘state apparatus’. If we considering the defining features of the Brazilian political system, it is apparent that the profile of the Brazilian state is much closer to that of other BRIC countries, such as India, than to our regional neighbours such as Colombia or Mexico etc. Why? Because, we have a huge state apparatus in the country. So, for instance, 47% of the market credit in Brazil is controlled by state banks; that is, basically half the credit available in Brazil is controlled by the state. And if you take long term credit, it is a hundred percent. There is just one bank that offers credit for more than 25 years, and it is BNDES [the Brazilian Development Bank]. So every single investment in the country that has a strategic element (in other words, 2-3 billion reais over 10 years in terms of maturation), must mandatorily have the state as a partner. Look at the scale of the political capacity that the state has. If you consider other areas such as the tax burden in this country: it is nearly 40%. Or in other terms, for each two bottles of water on the market, one is controlled by the state – or rather, allocated through the state apparatus. This is very large in terms of purchasing capacity, investment capacity, and credit capacity, in addition to regulatory capacity; it is a huge apparatus. What are the three legs of the so-called tripod upon which the PT has relied during its political cycle? Firstly, the PT has adopted a moderate heterodox macroeconomic approach; it’s more Keynsian than Marxist. And this, again, is important. Certainly we should not compare Brazil with other countries with a completely different approach in terms of macroeconomic management. Of course, incompetence plays a role here, but we have to distinguish between incompetence and the ideological aspect of the macroeconomic approach. Secondly, and very importantly, if there really is a leftist element in this tripod, it is more nationalist than leftist in a traditional sense. This is the key piece to the puzzle of Lula’s strategy. He started as a moderate orthodox president then he moved slowly to a more moderate heterodox approach but he was very strong in terms of industrial policies, with a very strong nationalist element combined with strong state activity. He ensured that the state agencies and banks, the state companies, took the lead in a significant number of the strategic investments in the country. 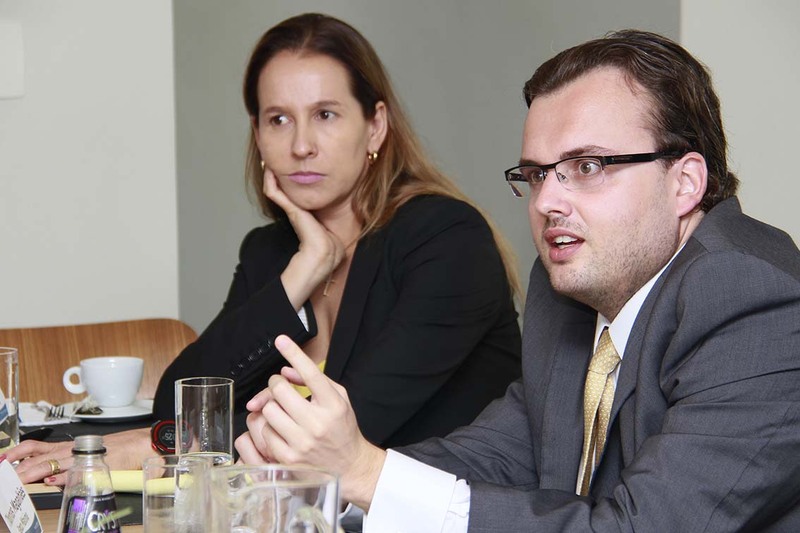 Not the state alone but the state in partnership with other actors –primarily, but not exclusively– Brazilian companies. This was the mindset of Luciano Coutinho, chairman of Brazil’s Development Bank [the BNDES]. This is not a leftist mindset, it is a nationalist mindset. The idea was that by fostering Brazilian companies you are fostering Brazilian interests. It is not a leftist view: leftists give property away to the people and put every single area of the economy under the control of the state. That is not what the Lula administration undertook; they adopted an approach that was more nationalist than leftist. But the very strong hand of the state remains. That is why the size of the state apparatus in Brazil is so important. The PT figured out how to mobilize this entire state apparatus very effectively in order to foster these elements. 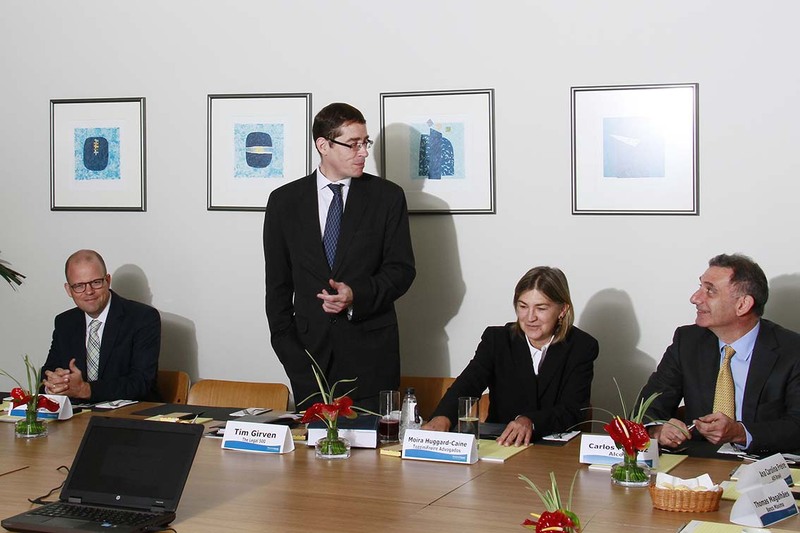 In the pharmaceutical area, for example –a critical area– they decided to foster 5 domestic companies; and they did. In 10 years, these companies became 10 times larger than they were in 2002. This is a sort of ‘national champion’ approach. And the model was replicated in the meat industry, in the aviation sector with EMBRAER, in telecommunications… that is exactly how [Brazilian mobile telecom services operator] Oi emerged in the telecoms sector. We needed a national champion to control the market. There are any number of examples, some successful, some less so, but this was very much what the approach was in terms of political policy. On the social front the policies fostered a direct income-transfer process; again this differs from a traditional leftist social policy. Why? If one looks at the growth of the federal budget in Brazil and at the proportion of it constituted by the health budget, it is notable that even though the public budget nearly doubled in the 5 years between 2004 and 2009, the proportion directed to the health budget remained the same. That means that even though the public budget increased enormously, the proportion directed towards social policies (specifically health) did not increase. If we had a real leftist government, the size of that spend would have doubled as well. So where did all that extra money go? They allocated it to Social Security and others, including the BNDES, Petrobras, and others; that is, they directed it to economic agents rather than social agents. Why is this not leftist in the pure sense of the word? Because the idea of direct income transfer programs entails taking the money from the state and giving it directly to the citizen / consumer, and letting them decide whether they prefer to buy more education, another car, or another TV set. This is allocation through the market; the PT has fostered market allocation rather than state allocation. All this, in combination with strong wage and credit policies, is part of the transformation of the Brazilian economy and has undoubtedly affected the political scenario. The minimum wage started to increase in 1994 and it is clear that when you keep inflation under control, you effectively increase income globally. While this growth began before the first PT administration, Lula increased this growth of the minimum wage. And we are talking about something relevant to more than 60% of the Brazilian society to whom a massive increase in purchasing capacity was delivered. ALEXEI BONAMIN, TOZZINIFREIRE ADVOGADOS: Sorry but how does this function vis-a-vis the current slowdown of the economy? RICARDO SENNES: Actually, that is, in my opinion, the weakness of this model. The PT governments have pushed growth through consumption rather than investment. Which sectors are growing? Those related to retail: this year even though we had less than 1% GDP growth, the retail market grew 4%. If we take single examples, such as (retailer) Magazine Luisa, this year it is expected to grow 21%. The pharmaceutical sector has enjoyed double-digit growth since the beginning of the 2000’s. These sectors are benefiting much more than other areas. The problem with this model is that there are sectors that are very negatively impacted by this process. So if we combine them with other sectors that have benefited a great deal from this process and take an average, we are not seeing a detailed picture because behind that average, there is a very heterogeneous economic process. And if we look at how income distribution has affected the classification of the population in terms of social class in Brazil, we see that what is referred to as class C class now represents 57% of the Brazilian society. That is completely different from just 10 years ago; in a sense, it is a sort of a revolution. It is as if we added the entire Argentine population to the Brazilian market in a single decade. This is much more important than the effects of the MERCOSUR agreement, for example. It is a very significant process – just look at the retail market during this period, it has grown continuously. The development of mid-sized cities in the country is another phenomenon; this is another El Dorado for retailers and other companies. Then there is the growth of BNDES spending. This is another example of how the PT has managed to tap the state apparatus because the BNDES was already there. They just took it and increased its capacity to foster investments. Is BNDES carrying out income distribution programs? No, they are focused on medium and large companies, in different industries. And once again, this is not a leftist approach per se, the strongest element of this model is a nationalist approach. And this is the problem. If you look at consumption figures, they shows steady levels of growth through 2014. But when one looks at investment, it is not sustained over this period and has declined over the last three years. This is affecting industrial companies in Brazil in particular, a sector where it has had a more negative impact than in agribusiness or services, for example. These numbers demonstrate why Dilma has such a high approval rating; even though growth is close to zero percent and despite the corruption problems, people still support her. The Brazilian population is not composed of PT militants and generally, people do not vote for PT because of ideology. There are very material and concrete factors that have caused them to support the coalition led by PT. If you take into account that 37% find her administration excellent, and 39% find it regular, that means nearly 80% of the Brazilian population think the government is either good or ok. It is a lot of people. The problem then becomes: why didn’t Dilma, with such a high level of approval, win the election in the first round? The answer is because the people do not like the way this party operates; but in terms of the material transfer of income and benefits, her administration is attractive. The profile of people’s demands has also changed completely. Health has become the top priority. Ten or fifteen years ago the issues were curbing unemployment, fighting hunger and poverty, and inflation. These were the key issues on the agenda. Now we have taxes –which is a typically middle-class preoccupation. Those concerned with taxes are those who have an income, because when people are not earning they do not care about taxes. Finally, the third hypothesis: that the predominant scenario is slow growth. Firstly: macroeconomic adjustments are to be expected. I think the profile of the new economic team reflects a decision made by the coalition (mainly the chief of the coalition, Lula), but certainly it is a strategic decision, and not just the results of bargaining or a short-term process. Second: heterogeneous (by sector) economic performance will continue to be predominant. This means that some sectors will grow 20% while others will shrink 5%. Overall, there will be growth limited to 1% or 1.5%. Third: consumption will continue to drive this (limited) growth rather than investment. And besides retail, it will be infrastructure and oil & gas that will drive a large proportion of those investments in the country. With all that said, I will finish with the notion that the numbers are not that bad if compared with ten years ago. Or if compared with Argentina or Mexico, for example, the numbers are not that bad. We are complaining, politically, in Brazil because the inflation rate is not 4.5% but 6.5%. It is a nightmare for Brazil. Wow, inflation is out of control! This means that inflation is something people care about. Lula understood this in 2002 and that is why even a supposedly leftist government is dealing with a 6.5% inflation rate; they are aware that it is too high. That is why Dilma has decided to shift the profile of the economic team towards the center, or slightly to the right. Because she also agrees that 6.5% is too much; there is an enormous consensus in Brazil that there is no room for mistakes with inflation. This is an important element. When a "gringo" looks at Brazil, they say "look, this is a very mature political decision: that inflation is not on the agenda, but rather a priority by default". And it would appear that the lack of confidence in Brazil is much more of a problem for domestic entrepreneurs than for their international counterparts. I forgot to mention it earlier but Brazil, since 2010, has been the third greatest recipient of foreign investments, right after the United States and China. We are talking about US64 billion dollars per year. This year, which was “disastrous”, we received US$54 billion. The US perception is that Brazil does not sound all that bad for a country with a population of 200 million. Now, some projections. As I said, if we follow the suggestion of (Banco) Itau or the IMF, the idea is that in the long term, Brazil will undergo a slow growth process. We will not be a tiger, like China or whoever, but nor are not in a crisis. We will maintain a (slow) growth trend that is part of the political process in the country. What is the problem? Clearly, the problem is the industrial sector. This is a key element that is driving down employment. And in the coming years we will have problems related to employment. Investment capacity, competitiveness – these are very much the focus here. Projections by the Brazilian Central Bank (which combine different projections covering more than 30 elements), show that even in terms of tax balance, the country is expected to perform reasonably. The problem is the balance of payments, especially given that the prospects in terms of infrastructure investments into the country are huge. We must be prepared for a long period of slow growth; but with neither a crisis nor a peak in economic momentum. All this means a lot of money and a lot of new market opportunities, depending on the approach that is taken. Currently, Dilma is thinking in the short-term, a period of perhaps six months. The administration is (presently) driven by two factors: 1. avoiding political isolationism and impeachment [Dilma was head of Petrobras when the corruption scandal currently under investigation occurred]. That is why Dilma needs to shift to the center; she understand that and Lula understands that. Even though she is not a fan of negotiations, she needs them now because there is a clear pitfall for the next three months. She needs to make a move right now –and I think she is. And 2. Avoiding the loss of the country’s investment grade-rating. This is the second element. 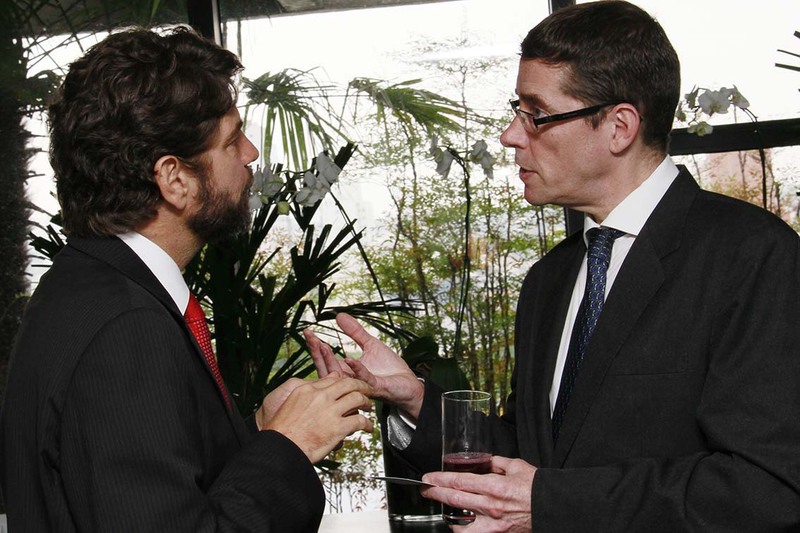 In the first meeting between (former treasury head and newly appointed finance minister) Joaquim Levy and (economist, former secretary to the treasury and newly appointed minister of planning) Nelson Barbosa, this was the key topic: what the country needs to do to avoid losing its investment grade-rating. These are the two reference points that will drive her work for now. TIM GIRVEN: Thank you very much, Ricardo. Based on what we have just heard perhaps I can open our discussion with the question: is it business in Brazil today despite the government rather than in conjunction with it? Obviously we have a combination of both international and domestic corporate organisations represented here today: what are your initial impressions of what we have just heard? Given that this is a second (Dilma) Rousseff administration, there is a degree of familiarity and continuity. Within that context, is it, as I suggested, business "despite the government", a case of putting up with the circumstances in which you find yourselves – the growing weight of regulation, an increasingly aggressive competition body (CADE), government intervention, etc? Or are you slightly more optimistic? ANDREA MONTRAGIO, TEVA: It is business despite the government until we are on the verge of becoming Venezuela. If PT traces the same track for a very long term scenario then I think every company will do what Teva is doing there right now, which is redirecting whatever investment that we had in Venezuela to other countries across the globe… and we had considerable investment there. TIM GIRVEN: But presumably you do not foresee a Venezuelan-style scenario here? ANDREA MONTRAGIO: Not in the short-to-medium term, no, but it depends on what they are going to do. Not this government necessarily, but forthcoming administrations. If the PT starts to get closer to questionable governments such as those of Argentina or Venezuela, then that may change. For the pharmaceutical industry, the impact of the PT’s "nationalism" has been huge. My colleague in the industry here probably agrees with me. PAULO FONSECA, AMGEN: I would not say nationalism, or Marxism. I would say communism. In the health sector the government is undertaking so-called PDPs, which are “partnerships for product development” that include the state apparatus, or the laboratories owned by the state, such as Fiocruz etc. They are actually manufacturing products and competing with private companies like ours in the market. If this is not communism I do not know what communism means, because it is the state owning the players in the market. THOMAS MAGALHÃES, BANCO MÁXIMO: But surely those public companies are not as efficient as yours? PAULO FONSECA: They don’t need to be – they have a budget from the BNDES (Brazil’s Development Bank). THOMAS MAGALHÃES: I read a brief article in [Brazilian business newspaper] Valor Econômico yesterday about a blood derivative plant that is being built in the state of Sergipe after more than 10 years of delay. ANDREA MONTRAGIO: There was a delay but what they have done is to cut their prices. That is what is killing us. We have to factor in all the taxes: import taxes, taxes for distribution etc., as well as having the burden of having no-one else to sell to besides the federal government; but now they are producing so...they’ve basically started a war, which is fine, because you need to have the competition, but it is not fair competition. I don’t know if you have heard of it, but some years ago a regulation called CAPE was instituted. CAPE is a mandatory discount on every single sale that you make to the federal, state or municipal governments. It is a mandatory discount –reviewed every two-or-three years– but every time you engage in a bid, from a list of products, blood derivatives included, you are supposed to provide, in addition to any normal negotiation, a discount of about 25% to 30%. The entire industry opposed the federal government on the implementation of this regulation, but then Eliana Calmon [Reporting Justice of the Superior Court], in a very interesting vote, said: "well, as per the Constitution, it is the state’s obligation to provide healthcare, but paragraph X also says it is the responsibility of the society; so, society, here, this is your share". Yes. And we got stuck with CAPE. PAULO FONSECA: And just to complement the foregoing –and I do not mean to focus just on the pharmaceutical sector– but if you want to bring a new company to Brazil, a new pharmaceutical company, you need two-to-three years to qualify your company and obtain all the licenses, permits and so on. Then you have another 2- to 3-year process to register your product with ANVISA [Agência Nacional de Vigilância Sanitária – Brazil’s health sector regulatory agency]. Then you need at least a further six months to have your prices approved by the government. Then finally you have the price of your product, let’s say one hundred reais, but you have to sell it to the government for 80 because of the mandatory discount. Of course this is, and should be, a highly regulated industry; but I think the tone of this regulation is way too deep. Now with the PDPs, the government is closing the market for certain molecules, giving exclusivity to state companies, and creating its own champions of the national market. It is the 1970’s-mindset of ISI [Import-substituting industrialization]. If you look at the pharmaceutical market around the world and you talk about competition, you are going to talk about Teva as ‘one of the usual suspects’, and of Amgen competing with them on prices, and so on. Here in Brazil we do not have Teva; what we have are national laboratories sponsored by the government through the state apparatus, as mentioned by Ricardo. It is a tough moment in this sector. In conclusion, I heard the chairman of Interfarma –Antonio Britto– say that 2014 was a good year. We all met our targets, and so on. But it could have been a great year and it wasn’t because of the government. So it is certainly a case of business despite the government. TIM GIRVEN: So what you face is ideological regulation as opposed to economic regulation? RICARDO SENNES: In this case it is ideological but it was not the PT. The decision to create a unified public healthcare system, the so-called “SUS”, was a decision based on the Constitution. In 1998, when the country was not ruled by PT, but rather by the Democratic Movement [PMDB] and the Liberal Front [PFL], which are centrist parties: they opted for a socialist model in the public healthcare sector. The man responsible for breaching the intellectual property law, the Brazilian minister, was from Brazil’s Social Democratic Party [PSDB]. PAULO FONSECA: No, it was not him, it was [former president] Lula de Silva. The former PSDB Health Minister, José Serra, threatened to do so but in the end backed off. RICARDO SENNES: You are right. He proposed it and Lula implemented it. PAULO FONSECA: He was dealing with HIV negotiations, and he was threatening to lower prices via compulsory licensing. RICARDO SENNES: My point is you are right when you say it is a socialist program for public healthcare. But I think it is the only sector where we really have a socialist platform in place. However, this is not a recent decision, it was based on the Constitution. That is why Justice Calmon made the decision you refer to, she is not with PT but that is what the Constitution says. TIM GIRVEN: Going back to the broader political scenario, I think the risk of going the Venezuelan route is relatively limited; while the country does have its state hydrocarbons group, Petrobras (which, moreover, is currently in the news for the emerging corruption scandals), it is not immediately comparable to PDVSA and the role of the latter in relation to the Venezuelan state. However, I think it is much more likely –given what you said, Ricardo, regarding the way the PT operates: i.e. it’s taking the clothes (policies) of other political parties– of the dominant political coalition going down a more Peronist style route, whereby the attractive aspects of the political program of any potential opposition, are simply taken on by the PT and carried forward as if they were its own policy. I think that is a risk: you end up with a statist model that gradually builds distortions into the market with increasing levels of subsidy across all industry sectors. One of the working titles for today’s conversation was "Brazilian isolationism (legal and otherwise): good for business or risky short-termism? ", and I would like to open that up to all of you. Does anyone have comments or observations arising from the question? ANDREA MONTRAGIO: We will always have comments (laughter). Well, as Paulo mentioned, there is a legal impact for us as well, at least for the highly regulated industries such as pharmaceuticals. I cannot comment on the non-regulated industries but for the pharmaceutical world the current political stance has had a great impact; we are seeing new regulations imposed almost every week, from ANVISA, from the Ministry of Health, from every side, and we have to adapt constantly. Which would be fine if it were not part of the larger process of the socialization of the healthcare system. The government is gradually bankrupting us because of that management and policy. We see it every day. For the legal department, it has become an endeavour to ensure the company’s survival. You need to come up with very creative ways of, not avoiding complying with the regulations, but of adapting your local business to them. It is very difficult to explain to a US-based lawyer or a European lawyer that in Brazil, a court dispute can take up to 25 or 30 years. They are just going to start laughing and say "why bother?" So it is a challenge for us, and for the law firms as well. I have worked in private practice and I remember clients saying "it is your problem that this is not happening"; they do not understand that it is in fact a problem of the current status quo. PAULO FONSECA: To detour a little bit from the legal problems: when Amgen came to Brazil four years ago, the company acquired a local lab called Bergamo. This local lab had its own portfolio, its own products, and it had international negotiations with Indian, Chinese and Korean partners etc. As the in-house counsel, I sought to avoid any sort of dispute-resolution clauses in the agreements that involved Brazil. I tried any legislation (other than Indian, Chinese etc. ), so, usually neutral legislation such as Swiss or US, and attempted to switch to alternative dispute methodologies like mediation and arbitration. Fortunately, we have never had any outright contentious matters with any of these partners, but litigation remains something that I am certainly –and actively– trying to avoid. The lack of confidence in the Brazilian state is so high that even the judicial branch is not trusted, not after decisions such as the implementation of CAPE we mentioned previously or price controls. I have not heard of any other sector with regulated prices regulated determined by the government. So we try to avoid at all costs litigating in Brazil. Even in private and local contracts, we’ll go all the way to alternative dispute resolution methods. THOMAS MAGALHÃES: Today in Banco Maximo, our activity is more local than international and we are very comfortable with local laws. When I used to work on some offerings abroad, I was very comfortable working with two legal counsels –that is, with both foreign and local counsel. I have previously worked with [TozzinFreire partner] Alexei [Bonamin], and I do think that the legal activity needs to be restricted to a specific jurisdiction. I am very comfortable with the situation that we currently have in Brazil. I do not know if the current protectionist model is a good thing or not but I am of the opinion that lawyers need to be restricted to their specific jurisdiction. As I said, when we need to make an offering abroad, I am very comfortable working with a lawyer who is a specialist in that location. There is also BNDES, Brazil’s development bank, who are in effect our partner. I do not know how much you know about it, but in 2003 AES Brazil almost went bankrupt, so BNDES took on a lot of our debt and as a result we now have them as a partner. They are not controlling shareholders but they have a lot of veto rights at (subsidiaries) Eletropaulo and Tietê. This basically means that our day-to-day lives are governed to a great extent by BNDES; and there is a lot of interference. The corporate governance of the company, for instance; every time we have a contract with a foreign entity, we need to provide memoranda to BNDES. It takes about 45 days to get anything in the company approved. So, in my case, can you imagine working at a law firm and completing projects in a week, and then moving to a company where you want to complete a project in a week but find, after a month, that it’s necessary to step on the brakes, since otherwise you will not survive there? People would tell me: “You are not at a law firm any longer!” Actually sometimes I had to stop solving a problem since I was creating more issues by questioning everyone. As a company in the energy sector, we do a lot of projections to understand what will happen in differing scenarios because the Corporation as a whole needs to know. We also have the challenge of hydrology, which is something that has a great impact on generation. On the other hand, distribution is capital-intensive, but as I said but nobody wants to invest because you have to undertake this quadrennial tariff review and the government does not pay you. Public lighting in São Paulo is another sub-sector where we are trying to explore non-regulated services so as to avoid any pressure from ANEEL. We know we cannot expect much from the regualtors so we are trying to find ways of avoiding control by the government. My point is that we have the government, and we have to try to live with the government, but also find ways to avoid too much interference. In Tietê, our generation company, we need to increase our investment in Brazil. We are trying to buy companies, but our parent company has not yet felt great confidence in the possible acquisition targets we have identified as potential investments. Last week, we nearly closed a deal but we backed off because our parent company identified possible risks precisely related with the government. We are still looking for wind and solar generators but it is difficult. On another front, we have just entered an agreement with MetLife to distribute insurance products in conjunction with the electricity bill, specifically to social classes C and D. Since income transfer started in Brazil, we want to engage these people, we want everybody to have access to life insurance and benefit from it by paying directly on their electricity bill. It’s a huge Eletropaulo project that we are going expand to AES Sul. THOMAS MAGALHÃES: I have been reading lately that some parts of the "Lava Jato" operation [a money laundering investigation that began with currency-exchange houses and has now extended to state-hydrocarbons entity, Petrobras] will affect the electricity sector. Certainly we in the financial sector are being penalized heavily; the entire operation has ended up coming back to the financial markets. Now they are saying there will be implications in the electricity market as well. Have you heard anything about that? ANA CAROLINA FREIRE: Well, not yet, but what we are experiencing is that our many contracts with construction companies are under investigation. Since I also work in Compliance, we have turned all these contracts into what we define as ‘high-risk processes’, meaning that all such agreements now have to be submitted to the Corporation for review. We have people dedicated to investigating these companies. THOMAS MAGALHÃES: You mean that you are undertaking Compliance even though it is not required in your field? ANA CAROLINA FREIRE: Yes. I became our Compliance officer because the company was trying to hire people but the need to have a person who knows the culture of the company proved over-riding. AES is a company that really values its culture and ethics – we have our values and so on. And I really like this part of the work. I go and talk with electricians in the streets, for example, and give them training. This is very different from a law firm. It may sound unusual but I really enjoy talking to these people. After I got to know them, I started to appreciate what they do, because their work is so unique. They spend hours in the streets and it can be dangerous work. Safety is our first value. If we have one death in the company, the managers lose 10% of their bonuses. This year, happily, we have not had any fatalities. These are things you start to appreciate when you work in a company, because you handle matters you would not come into contact with working for Prospectiva or Tozzini. It counts for a lot, engaging people to do things –and Compliance is very much related to that, to doing the right thing and building on your values, preventing these people from accepting bribes. THOMAS MAGALHÃES: Yes, I see that now it is no longer a problem of the financial sector alone. ANA CAROLINA FREIRE: Oh no, it is everywhere. We have very large contracts with these construction companies and they make a lot of money from their work with us. Of course we also need them to be able to undertake what we require. So we may have issues, but we always conduct profound due diligence so hopefully nothing is going to happen to us. I am comfortable. ALEXEI BONAMIN: Ricardo, when you explained the scenarios in your presentation, if I am not mistaken none of them mentioned any sort of economic boom or a growth scenario in Brazil. If you are right, then we have the problems that you mentioned. We have 80% of approval of the government because the majority of the population is benefiting from social aid, and so on. How is this sustainable in the long run? Will the PT just have another four years? Or another eight? Or fifty? And how do you think the population will see this scenario? Because it is not sustainable at all. When you hear testimonies such as these, it is easy to say: "well, it is the problem of a specific industry", but it is not about the sector itself, it is a matter of how our economy is growing: 2.5% or 3% is nothing for a young country like ours. These numbers do not allow for new generations to enter the workforce. RICARDO SENNES: I fully agree with you. As I said, in our perception this cycle is declining and the PT is reaching the limits of its model – a model which has impacted on the business environment, greatly. Today, in Brazil, that environment is very costly; each and every element is costly. I am not a supporter of this, I simply presented the analytic model. ALEXEI BONAMIN: The scenarios do not show any economic growth. RICARDO SENNES: It is a huge political problem, because 1% or 2% growth is simply not enough and both political and social pressures will emerge. The question is: what should the proposal for the new cycle be? That is the problem with the recent election. Did the public support the alternative presented from the outset by [PSDB opposition candidate] Aecio Neves? No, they did not. And why do we have a socialist approach for healthcare in Brazil that is never challenged? Have you ever heard anyone saying that the unified healthcare system, the SUS, is not an appropriate model for a capitalist country? No one ever questioned the provision of integral and free healthcare for everyone – literally all the people, even immigrants. PAULO FONSECA: Just like in Italy and every other socialist country. RICARDO SENNES: That is the point. The first thing we need is to understand what is going on. People accepted this idea, people accept the role of BNDES, and people do not like the idea of us privatizing Petrobras. Brazilians, even some in the business community, like the government. It is not just poor people. Many Brazilian business people also like the model. But the question is: what are the alternatives that our political process offer us? Is the PSDB presenting something that people approve of? Or [the PSB’s] Marina Silva, and Eduardo Campos? This is the fifth consecutive election which has offered [a choice between] a PT coalition, the small PSDB coalition, and a third-way. We had Garotinho, and then Ciro Gomes, and Marina Silva in the last two elections. This means we have an alternative ‘third-way’. I understand they are trying to present something different, which is why I think Marina had such high approval at the beginning of the election process. People approved of the first ideas presented by Marina, but when they started digging deep and asking more about her proposals, they backed off. There is a desire to move towards a new cycle but there is little trust that the alternatives will really mean something new: this is the great challenge for the Brazilian political elite. And this is the third time the PSDB has chosen the vice-presidential candidate from its own ranks. With such a fragmented system, it is inconceivable to have candidates from the same party running for President and Vice-President. A coalition is a necessity and for that you have to have a leader, someone who can genuinely lead what is a very heterogeneous coalition. So, do we really have a politician, a leader, or an elite that can present a genuine alternative? I don’t think so. LEGAL MANAGER, GLOBAL TELECOMS COMPANY: Very much in line with what was being said about socialist policies in the healthcare system, we are facing the similar problems in the technology sector. It is not a case of new laws establishing a socialist environment, but rather of new interpretations of the existing laws. For example, we have tax incentives if we invest in R&D, and this research is made in cooperation with universities –public universities, primarily. Now, however, the government is imposing that we share the intellectual property rights (IPR) with the universities. This will obviously scare away international companies, because we require 100% of the IPR, and it is becoming a real challenge. There is no new law establishing the sharing of the IPR, but this new interpretation of the existing law is increasingly predominant. TIM GIRVEN: Can I ask which public entities are making this interpretation? LEGAL MANAGER, GLOBAL TELECOMS COMPANY: The Ministry of Technology, because these tax incentives are inspected by the Ministry of Technology. FABIANA SIVIERO, GOOGLE BRASIL: I have to disagree a bit. For Google it is a very different world and we are happy. We do not have factories here in Brazil, and the government, even if it wanted to compete, does not know how. There was discussion about that in the wake of the NSA issue [when it was reported that the US agency had spied upon Brazil], and that did not help the technology sector at all; it was a hard hit. The government began to talk about developing a government-based email system. Such things show that the government still thinks in a very old fashioned way. While it likes innovation, it is very much afraid of it and as such, resists it. As you said, Ricardo, Brazil could be great for business. If we take the statistics for internet usage in Brazil, for example, or for the adoption of new technologies, we are a very open people: we love new gadgets. Facebook is hitting enormous numbers and every new product that is launched is embraced by us Brazilians – we love to talk, love to share. I think this is cultural, I have been with Google for six years now, and it is even funny when I tell other people about my experience. When Street View was launched, for example, several countries –such as Switzerland, Japan and Germany– had issues with people concerned at their houses being exposed online; here in Brazil we actually got calls because people wanted to know when the cars were going to pass by because they wanted to pose for the pictures! People have asked: "are you having problems with Street View in Brazil?" To which the answer is "well, not exactly". Our people like technology very much. The challenge has been to avoid a scenario in which Brazil, precisely because of the current nationalist approach that is also visible in the technology sector, continues to adopt legislation that ends up killing innovation. And that is a very difficult process because you are talking not only about discussion with the government, but also with Congress, and largely about issues that they absolutely do not understand. The "Marco Civil" [the new Internet governance law recently approved in Brazil] was a victory for us. I do not know how many of you were following it, but we were able to avoid the obligation of data localization. There was a clause proposing that all data had to be located in Brazil, a proposal strongly supported by the Brazilian government, and especially by the Minister of Communications, Paulo Bernardo. Of course, I did not know much about the subject before, but I listen to the engineers talking at Google all the time and it is crystal clear that that is a big no-no. We are talking about a step taken by China. Do we really want to become another China? TIM GIRVEN: But that is precisely the logical conclusion of the extension of the protectionist/nationalist policies of the PT. The party is not necessarily socialist sensu stricto, in a traditional way, but it is a natural consequence of the nationalist-protectionist line which the government is increasingly taking. FABIANA SIVIERO: Exactly. Of course Google is very big, and Google can adapt. One of Google's philosophies is that it is always worse to leave a population without any alternative than to adapt to a difficult situation, as it did in China or in Egypt. If you cut the internet in Egypt when they have turmoil, you leave the people there with no alternatives. It is better to abide by some rules and give them some sort of alternative. Of course we are far from that situation in Brazil, but if Google has to adapt, we will. And other big companies as well. The problem, however, is that you kill innovation. All the new, smaller businesses are affected. Google could build a data center in Brazil. But that is not the ideal solution. Currently we are also dealing with the data protection bill that is to be published by the Ministry of Justice shortly. I think it will affect several sectors, certainly banking and finance. TIM GIRVEN: Now that we are talking about data protection, and we mentioned compliance, maybe we could reframe this conversation somewhat, moving slightly away from the nationalist politics into the specifics of what the challenges that you, as individuals trying to manage legal departments in your respective industries and organizations, are encountering. Is it the weight of compliance? Is it the weight of new local regulation, data protection etc.? Or is it international regulation, such as FACTA and Sarbanes-Oxley, the UK Bribery Act? Are you struggling with how to deal with compliance, for example, and whether it should structurally be part of a legal department, or should be a separate, parallel organization? Should it report to you as GC or should it report directly to the board? 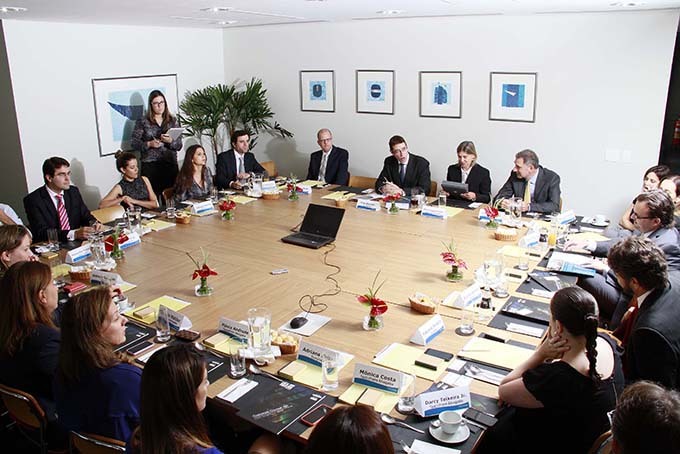 What are the immediate issues that in-house lawyers in Brazil today are confronting? FABIANA SIVIERO: For me, it is very clear that we need two things. One is the aspect that you mentioned: the lack of security in the judicial system. We get sued a lot and it has become a running joke that I never have the opportunity of suing anyone because we are always the defendants; we have a huge volume of litigation. Brazil also made reforms to its procedural law some twenty years ago so as to expand access to justice. This brought about a range of benefits, but it also created a way of litigating in Brazil which has resulted in one simply becoming the manager of huge volumes of litigation, volumes that are unparalleled anywhere in the world. And I can say that because I attend meetings with corporate counsels from everywhere else in the world, and they look at me and say: "ah, the poor Brazilian", with my thousands of cases. FABIANA SIVIERO: Of course; and secondly, it creates case law in cases that are complete nonsense. We currently have our first Supreme Court case, one that is awaiting a ruling because it has been recognized as a case with "general repercussions": it is the case of a teacher, in a small claims court from the city of Belo Horizonte, but it is going to set a precedent for the internet in Brazil. The issue is that all this just decreases [judicial] predictability, you never know what is going to become important. FABIANA SIVIERO: Yes but the access is different, here everything gets ruled and analyzed. And what’s more, because there is no rule of precedence, we have all 27 Brazilian courts of appeals making decisions that are completely contradictory. ANA CAROLINA FREIRE: I am just noting that while Americans tend to say "you, in Brazil, have these crazy decisions", if you tell them to check the history of rulings in each of the American states, they are also going to find decisions that are total nonsense. FABIANA SIVIERO: Yes, but I do think the number of cases here is unparalleled. Thousands and thousands, and all of them reaching the Superior Court of Justice, which is passing rulings that are crazy. ANA CAROLINA FREIRE: I know; in my sector too we have all these extraordinary appeals. FABIANA SIVIERO: It is a challenge, but I think the volume is the greatest challenge. ANA CAROLINA FREIRE: And you never reach a final decision! FABIANA SIVIERO: So, you asked us about our challenges, I think this is number one: managing a growing litigation portfolio. All you see are your curves going up, and it takes a long time for cases to be solved; they start much faster than they close. We do not negotiate cases because you cannot negotiate with someone’s data or principles. ANA CAROLINA FREIRE: At AES we have cases that we have won but in general we seek to pre-negotiate settlement before a case goes to court; we have so many lawsuits with individuals that we pre-negotiate everything –and it has proved successful. FABIANA SIVIERO: Yes, but it is a different business. TIM GIRVEN: Just out of interest, how big are your respective departments? FABIANA SIVIERO: We have seven lawyers now. ANA CAROLINA FREIRE: We have fifty, we have a lot of people. CARLOS MAHFUZ: We have ten. Maybe it is generational or organizational but we have monthly meetings with our legal departments from all over the world, people from Australia, China, Europe and US. What is clear is that Brazil has its particular aspects, such as the number of lawsuits – specifically in tax and labour. It is the Brazilian style. But I would say that in general the kind of issues that Alcoa faces around the world are not so distant from the issues we face here. Of course, we do have peculiarities, such as the Brazilian national sport that is tax litigation; and probably also a certain lack of respect for the state. In the US and other developed countries, people respect the state. Here we do not, which I think is part of the tax litigation problem. For us, attorneys, it is a beautiful landscape. Maybe I am being optimistic, but at the end of the day, working in Brazil means you get to experience much more thrill. You never know what you are going to come across. It is more difficult than in other parts of the world, but it is not that difficult. This year, for example, we closed two plants in Brazil. And this has been one of our best years in Brazil. So we are selling energy in the market at terrific prices, but the government did not really care about the two thousand workers that were laid off. It only took us four months to shut down these plants and that would not be possible anywhere else in the world –not in Spain, Italy, elsewhere in Europe, or in the US. Or, they would take a closer at the profits from our energy sales. I have heard that question from other colleagues, "so, you are closing down two plants, and the government isn’t doing anything about your profits?" ALEXEI BONAMIN: That is a good point. We are very efficient at closing companies, rather than opening companies. The key question here is what does Brazil want to be in the future? Will we have a very short-sighted plan for our country, for the next 4 years, or should we have a 20- to 50-year plan for Brazil? Do we want to attract international investments, or not? Do we want to have strong agribusiness, industrial and services sectors? ANA CAROLINA FREIRE: Yes, are we going to have just national champions? Are we going to restrict our industrial strengths to traditional sectors such as meat and aviation? Is that all Brazil is going to be about? Maybe energy, because we need energy, and that’s it? And is our minimum wage always going to be around (US) 15,000 dollars a year? In Canada, it is 50,000. Canada does not have that many industries, but it has a minimum wage of US50,000 dollars. It is a bit better than we have here; is this the country that we want? CARLOS MAHFUZ: Ricardo, what do you see as occurring with the staffing of the new government? We’ve heard about the possible key appointments of Katia Abreu [a pro-agribusiness Brazilian senator] as the next Agriculture minister; Armando Monteiro as the next Development, Industry and Foreign Trade minister; Joaquim Levy as the next Finance minister; and Nelson Barbosa as the next Planning minister. This certainly seems to reflect a change of pace, a change of direction. RICARDO SENNES: It’s interesting. If you consider the profiles of the four people you mentioned, they are very similar to the profiles of those that Lula, at the beginning of his first term as president, chose for the ministries of economy, planning and so on. 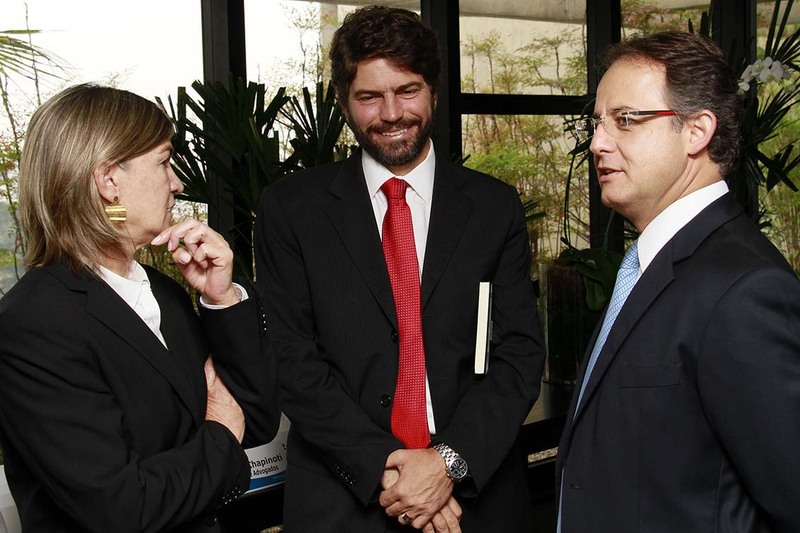 He chose a pair of businessmen to be Industry & Trade minister and Agriculture minister, respectively; a more Keynesian guy (in the beginning it was Guido Mantega [current Finance minister], now it is Nelson Barbosa), and someone from the market, like Joaquim Levy. The point is, if you consider the profiles of Furlan [Lula’s Development minister] and Roberto Rodrigues [Lula’s Agriculture minister], and we compare them with Armando Monteiro and Katia Abreu, the first two were from the international agribusiness sector while Katia and Armando are more nationalist business leaders. I think the PT is trying to postpone the end of this [political] cycle rather than design a new one since, if they did so, it would not be sustainable to keep the same figures. As a final point I’d also mention that Lula, when he started bargaining with Dilma, requested three ministries: economy, cities and education. When I heard about this, I wondered why he had chosen those three specific ministries. I think he is trying to anticipate what the next cycle will be. Because once again, whatever form it takes it will include the poor and the young people from the big cities, which means fostering public policies related to public transportation, mobility, city activities, etc. FABIANA SIVIERO: Exactly what Haddad [mayor of the city of São Paulo] is doing in São Paulo. 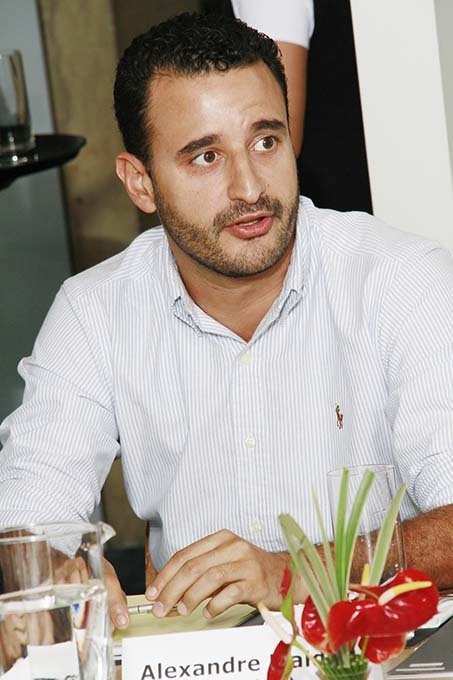 RICARDO SENNES: In São Paulo, in Rio, in Minas Gerais. He is thinking "I need to ensure these people’s support so I want the Ministry of Cities". Then comes education. Education, combined with other policies that they designed. If you look at the Prouni [scholarship program in partnership with private schools], they are giving money for people to study at private universities. Rather than spend on public universities they are providing people with scholarships to go to private universities. Or again, look at the Science Without Borders program, which offers scholarships for Brazilians to experience studying abroad; it is targeted at the C and D classes, and they gain a lot of support because of these programs. Controlling macroeconomic strategy and fostering urban planning policies are key aspects of their strategy. Not health because I think they have given up on that already. I am speculating, but I think these are key aspects of the strategy to retain power as we enter a new cycle. ADRIANA EHIAR, TAMPICO: One thing that I wanted to mention is that I think it is a challenge from the legal perspective to support a long term business plan in Brazil. Why? Because, for example, they establish a new law: if you build your plant at a tax free zone in Manaus, and comply with these criteria, you have the right for these tax benefits. So, you go there and you build your plant, your do everything as required. Then after 5 or 6 months of operations, the Supreme Court makes a decision that runs completely counter to the first law. The law actually remains the same, but they keep changing their interpretation of the law. Nor do they like regulatory innovation, because they keep using the old regulations with new interpretations. So in this scenario how can you do business and build a strategic plan for investments over 5 or 10 years in Brazil if you are not 100% sure of which regulations will govern your business? This is a challenge that we have here that I think is distinct from other countries. TIM GIRVEN: This is a sort of a variation on the theme of judicial security. It is exactly what you were saying: “Well, there is a tax break on this but slowly, gradually, you have a shift of the paradigm”; or in the case of telecoms, you are risking losing IP rights, etc. 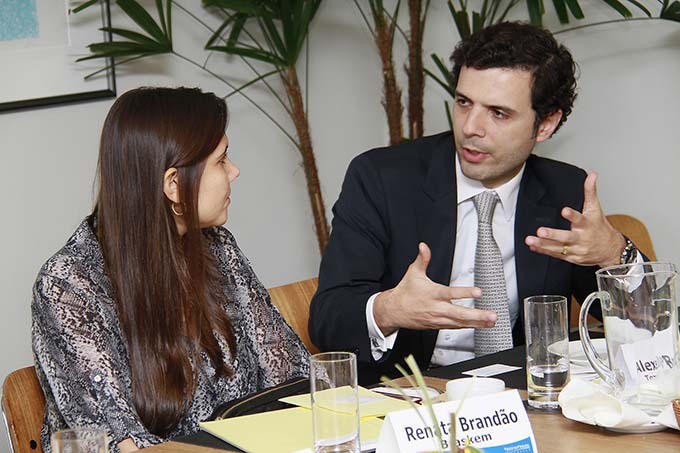 RENATA BRANDÃO, BRASKEM: I totally agree and would add that our tax authorities are crazy: they are constantly creating new interpretations of established legislation and it is very scary. So it is not only all the litigation, but it is also our state. It is not moral. TIM GIRVEN: I think this comes back to your point, Alexei, regarding what sort of nation Brazil wishes to be? Speaking as the sole foreigner in the room, one of the things that is notable if one steps back and takes a regional perspective is the degree to which Brazil is internally focused. Partially this is an extension of the whole nationalist/protectionist debate that we mentioned earlier; and partially, I think (and you have a standout example of this to the south, in Argentina), a certain presumption in the expectation of what the country should be, of what its natural wealth should allow the country to develop into and become. But such a stance does not pay attention to becoming and remaining a competitive jurisdiction – either in the region or at a global level. Brazil remains preoccupied with its own issues and from a business perspective it certainly has real barriers to competitiveness – the cost of computing and technology, for example– as well as education and social mobility issues. And while Brazil remains busy looking inward, there has been the development of what is (at least potentially) a far more competitive model in the region: the Pacific Alliance. If there is a certain degree of convergence in terms of economic orientation as regards Mexico, Peru, Colombia and Chile, and to which can be added Mexico’s probable entrance into the Latin-American Integrated Market (MILA), suddenly you have a considerable economic bloc with a viable alternative to the BOVESPA (and one with a higher capitalization). Moreover, in effect you have four (relatively) dynamic economies, which can to some degree compensate for each other in the face of particular economic difficulties, taking up the stresses, one from another. In the face of such an economic grouping, the attractiveness of Brazil, as a relatively closed economy with multiple trade barriers, government intervention (either official or legislative, or in more subtle ways as has been mentioned), becomes questionable; suddenly Brazil’s position as the automatic point of arrival for the continent –something that has certainly be presumed over the last 15 or 20 years– come into doubt. I think in that sense, Brazil as a state, as a nation, need to stop and reconsider precisely where it is. ANA CAROLINA FREIRE: Brazil, as a BRIC nation, is certainly still seeking investments from China, India, Korea and Japan, among others, and I do not think Brazil is very concerned –or ever has been– with our friends here in Latin America. Unlike Lula, Dilma is, unfortunately, not doing her homework. Lula did a good job on international affairs, he traveled around and maintained good relations with other countries. I do not think Dilma, is good enough on this front, especially in her speeches. I simply do not get the message, I don’t understand what the policy (in terms of international affairs) is meant to be. But I still think we are aiming at China. I remember when I used to work here at Tozzini, there was a lot of attention on China, on Japan… along with Korea they were the focus here at this firm. And I believe they still are. TIM GIRVEN: And so they should be, without a shadow of a doubt. But my point is not that Brazil seek investment from its neighbours but rather that the Pacific Alliance –with its minimal internal barriers– is becoming an increasingly attractive point of entry, that it is increasingly likely to receive those investments arriving from China and elsewhere, investments that previously one could have foreseen arriving in Brazil and which will now go to Mexico, or Colombia, or Peru (less so Chile because that is a more consolidated market). PAULO FONSECA: I think Brazil is still an attractive environment for short-term investments. If you want to come and sell your product, you have a 200-million people market. But for medium-term or long-term investments, it is not the right market. And I am going to quote a very specific example from our industry: clinical trials. Clinical trials are the basis of the pharmaceutical industry. About 50% of the clinical studies conducted around the world are in the US. Some 20% are in Europe and the rest is spread around the world. Brazil accounts for only 1 or 2% and we do not even have a law for clinical trials here. However, all of a sudden the National Health Council decided to regulate the matter; and that depends, pretty much, on who is sitting in that chair. Again we have another ‘Brazilian difference’ related to legal uncertainty and judicial security. ANA CAROLINA FREIRE: And what does the law say now? PAULO FONSECA: Currently, if, for example, you recruit 100 patients for a new cholesterol drug, when the study ends, you have to provide the drug to those 100 patients for free, forever. RICARDO SENNES: So you can conduct these studies? ANDREA MONTRAGIO: Yes, as long as you provide the drug to the patient for the rest of their lives. PAULO FONSECA: In effect they are putting the burden of the public healthcare system on your shoulders. You have to give away the drug for free, forever! These are jabuticabas [a grape-like fruit unique to the country]: things that only happen in Brazil. So, again, if you want to come and sell your product, Brazil is a great market. But once you go to longer term investments it is not so attractive, because of all the bureaucracy, the legal uncertainty, and the lack of planning. There are no plans. Even Dilma, who won the election, does not have a clear plan for this administration. With the fragmentation of the Congress that was mentioned, and with ministers from different parties, I would ask: do you think there is room for serious political reform in Brazil? And also, along the same lines, I know there is an ongoing registration process for a centre-right party called Partido Novo: do you think there is room for a more conservative political party to play the role of an effective opposition to the government? RICARDO SENNES: I think political reform will happen somehow, but without huge changes. There are three elements to that: one is changing the regulations for financial support to political parties. I think we will see changes there, but I do not know whether they will be effective or not. 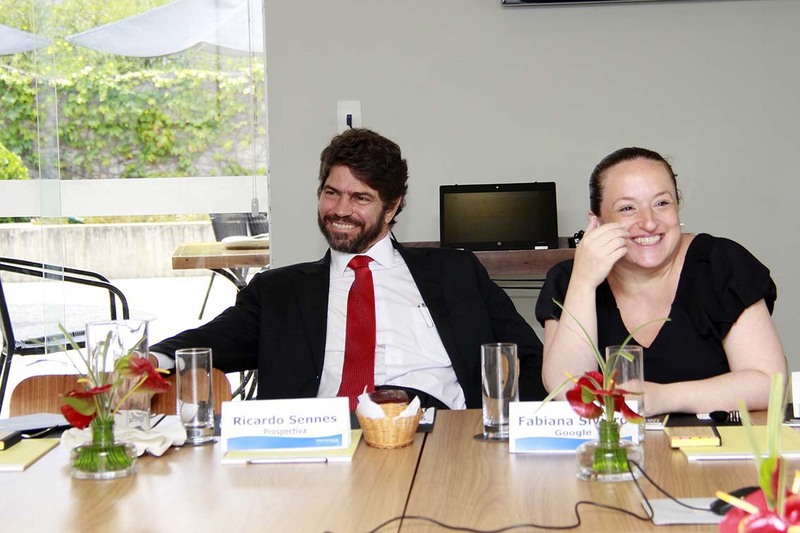 PAULO FONSECA: And that puts another burden on the state, because it will be the state paying for political campaigns. RICARDO SENNES: Yes, but that is the cost of reducing corruption. It is not that much money and provided you effectively reduce corruption, I think it is for a good cause. The second element is re-election. They are thinking about reviewing the re-election clause. In this case, personally speaking, I am in favor of re-election; I do not think we should change that. And the third element is the electoral model: they want to introduce some sort of district-based electoral system. I am not suggesting that a full district-based electoral system will be adopted, but rather a mixed electoral system, combining both district-based and proportional representation such as we have today. Or a fourth model called with an electoral threshold which establishes that for a political party to have representatives in the Congress, it must receive at least 3% of the total votes. Such a clause would reduce the number of political parties in Congress; unsurprisingly the medium and large political parties, including the PT, PMDB and PSDB, are in favour. In these four areas there is room for change moving forward, especially given the pressure of public opinion for some kind of reform. ALEXEI BONAMIN: Going back to your question about challenges for legal departments and GCs, I have been talking with my clients and of course the inefficiency of the legal system is not news, the lack of expertise of our regulators is not news, and the inefficiency of the state is not news; but what is news and is becoming a challenge for everybody is investigation. If you take the example of the cartels in the metro system, and now Petrobras, this is a new world for the judicial system and authorities, and for companies, and it points to how we can become a different country in the future. Although the Petrobras scandal is a problem, it is also a good opportunity to give an answer to the world, to show how Brazil is tackling corruption, transparency and all those matters related with the investigations. Companies are starting to care more about compliance and ethics, because the tone had changed. People are now going to jail. TIM GIRVEN: Yes, that always helps to focus minds. One of the points made when we started, and indeed, when I spoke to some of you at the beginning of the year, was that sometimes the greatest challenge within your own organizations is to be heard. Does this remain a major problem? Are you still, as in-house legal representatives, having to make the case for being heard at the board level within your respective companies? Or is that a battle you have already won, allowing you to actually concentrate on the exterior scenario that we have been talking about today? ANDREA MONTRAGIO: Internationally it is a battle we’ve already won; but not here, not locally. Here it is just like a sales process. I think we can agree that the greatest exposure for any GC is with the sales or commercial department; they are the ones who bring the money in. You are replaceable and they are not for a very simple reason: the company exists because of them. The organization is operating in the country so you cannot just go back to them and say “well there is a new regulation” (we have new regulations every day), and “you need to stop doing this or that”. You need to come up with solutions and they need to keep selling; so you need to help them sell. And this, in itself, is a sales process. You cannot just start talking about compliance (and I am the local Compliance Officer for Teva); when we started implementing the new compliance policy five years ago, it was crazy and it was painful, I can tell you that! And we’re currently under investigation by the DOJ; it has been going on for the past three years and will quite possibly continue for another year and a half. ANA CAROLINA FREIRE: Where did the incident take place? ANA CAROLINA FREIRE: Did it take place in Brazil or not? ANDREA MONTRAGIO: No, it was Latin America, but not in Brazil. There are some indications that it may have come from the US to the Latin American area. We started to conduct a worldwide investigation. Worldwide – so we are talking about the 73 countries in which we operate. That takes a lot of time, a lot of money, and it hurt the business. We’ve learned how expensive this kind of investigation can be and in about a year or 18 months the business is going to learn how expensive it is to come to an agreement with the US government, and probably with the UK government too. Then we are going to sit and wait to see how the Brazilian government reacts. We have this new [Anti-corruption] law [which came into effect in Late January 2014]; nobody knows who is going to operate it and this is a very corrupt country. The legislation also established that the same agency which is interacting with you [the company] should be the one responsible for further investigations. From the standpoint of a regulated industry, like the pharmaceutical industry, we have a scenario where you have a very important focus on the national industry. We used to say that international companies were losing market share and competitiveness because they had to be compliant. This has been the argument: international firms had to be compliant while the national players did not because there was no local [Brazilian] anti-corruption law. Now an anti-corruption law has been passed, but we find that precisely the same agencies which have been helping the national industry grow will be those conducting investigations. How can this work if the people subject to corruption will be those responsible for investigating your company. What prevents me from giving them some money and asking them to investigate Teva, or Amgen, and causing some trouble to those companies? We simply do not know how this is going to be managed. I was talking to the individual responsible for implementing this transparency program in Brasilia. He told me that in Brasilia, they had nearly six hundred people dedicated to specific areas. For example, engineers taking care of the electricity sector, and then economists, lawyers, etc., in an attempt to divide investigations by sector. Then he told me they wanted to implement this program in São Paulo and that they had 30 accountants between 60 and 70 years of age to inspect all the buildings and the infrastructure. He said "I need help from other states and the federal government for this implementation". Clearly anti-corruption is going to be a burden for local GCs because there is no question that it has been for those of us with an international operation and who already have to abide by the FCPA clauses and the UK Anti-Bribery Act. In our case, this has already been digested by the sales team and they understand they will need to abide by that. The moment we receive the first notification related to the Brazilian legislation, a second battle will start, because that is the only time you do not need to sell your work. It is basically “down their throat”. “Oh, but I...” No. I do not care: this is not optional; but then you create conflict. ‘Legal’ has already created conflict some years ago with the ‘nationalization’ of the FCPA and the UK Anti-Bribery Act. Now we are creating conflict once again with the Brazilian law because we do not know how it is going to work. ANA CAROLINA FREIRE: I am totally supportive of this law because of its ethical and cultural aspects: companies must talk about culture and ethics with their employees. We need to have values. You do not have to worry about fines if you are doing a good job, if you talk about values with your employees, if you explain to them what the right thing to do is. Each of us is accountable for representing our (respective) companies. Every day, when I go to work, I have to embody the values of the company. And we need to explain this to everyone, from the electricians to the CEO. In fact I sit down with the CEO of the company to correct his speeches, to introduce our values into his speeches; this is something he has asked me to do. And that is why I am so proud to work where I work. Our [compliance and anti-corruption] program has been around for 10 years, and we have had no problems to date. I am proud of that and it’s something I tell everyone when I undertake their training. Of course we may have a problem someday, but what I feel most proud of is that I feel I am contributing to our society. When I am training these workers, I explain to them why they have to have integrity at work. When I undertook Capital Markets work in private practice, I did not have a sense of purpose. I would undertake a transaction of billions, and after it was completed, everybody would tell me “good job Ana Carolina, see you around”. Now, in my company, and working with compliance, I have a sense of purpose. Compliance gives you that. I also feel that I am contributing to society and that is why I feel so proud of my work. Irrespective of the CGU [the Office of the Inspector General] and its investigations, and of whatever happens in the future, when I am sitting with the electricians explaining to them what is the right thing to do, and they say to me “thank you, Ana Carolina”, I feel proud. ANDREA MONTRAGIO: I agree with you, I completely agree. Teva also seeks to embody the value of integrity, and the pharmaceutical industry as a whole has been adapting to that. We all know that the pharmaceutical industry was a horrible industry and had a terrible reputation but in the past few years it has steadily improved. It is a long term process, but it is evolving. There is not a single employee in the Teva group (and we have 48,000 employees across the globe), who will come to us and say: “Compliance, I do not like this, it is causing me trouble”. They all understand its purpose and they are all on-board. What scares us, however is how the Brazilian government is going to go about enforcing the new legislation. I fully support the law but I am not supportive of the process they are implementing. Well, not implementing –because we do not know yet how they are going to implement it– but of how it is worded. It leaves space for endless discussions. ANA CAROLINA FREIRE: Yes but if you do the right thing, then you do not need to worry. ANDREA MONTRAGIO: Yes, but it is not so simple. We have too many people in the streets. You can educate but it is hard to control. And the pharma world is still divided. You have people who are very up-to-date but alongside their modern practices the old-fashioned way of doing business still co-exists. ANA CAROLINA FREIRE: Today we are dismissing 50 people, because we found out they were bribing people in our stores. We have a meeting today with the President at 3pm to talk about this topic and we need to “walk the way we talk”. In our company, as soon as we detect a problem, we punish. There is no chance to get away. Fifty people means fifty families. And we have to make a decision. FABIANA SIVIERO: I think the challenge is that we are dealing with corrupt structures, as we see in the Lava Jato investigation. There are situations when they say “you can't get in”. It takes a lot of guts to say “we do not want to get in like this, we will not sell to you, and we will not do business with you”. Maybe we will be shutting some doors but at least we won't be a part of the problem. I was at a meeting with the corporate counsel from all over the globe, and I had an interesting conversation with the Chinese counsel. Corruption is a huge problem in China, and one of the things he told me is that in China, all the officials go to jail, for a long time – but not the corrupters. The company representatives that are paying the bribes are not the ones who go to jail. So I think it is very difficult in a country like Brazil. In our case we are outside this since we do not have business with the government. ALEXEI BONAMIN: That is a good point. Today I read an article in [the national daily paper] Folha de Sao Paulo suggesting that companies will be punished in this investigation, and that politicians will be exempted to a certain extent, as they were in the "Mensalão" scandal. They’ll go to jail for a month, for six months, and that is it. But the CEO of the construction companies will be in jail for a long time, to serve as an example to the society. But we know that both side should go to jail. FABIANA SIVIERO: And that is what we need to dismantle the system, we need everybody to say no, we are not playing by your illegal rules. ANA CAROLINA FREIRE: But in our case it is private bribery, not bribery in relation to the government. It is about the people in the stores accepting a bribe from customers so as to speed up their installation. ALEXEI BONAMIN: It is a country of corruption. ANA CAROLINA FREIRE: Exactly. There is corruption inside the companies. Even though it is not a crime, we are against any sort of corruption. That is what I was referring to when I spoke about culture. Regardless of who is involved, officials, non-officials, if you do anything that goes against our values, you are out. ANDREA MONTRAGIO: It is the same with some of the pharma companies. When I say we [as in house lawyers] need to sell our case, our position, it is because you need to explain, or at least comfort, comfort someone that lost a one-billion dollar sale to a PDP process because after two years and a half years of negotiation, one of the agents said we need to consider paying a 15% “mediation fee”. You query what “mediation” is being referred to and he or she says: “well, you know, I arranged everything”. No, you did not arrange anything. We have been discussing this for two and a half years. You clearly did not have any role as a mediator here, and there is no reason why we should pay you a fee. Then they say “okay, you either pay me the 15%, or the deal is off”. And you walk away only to see another pharmaceutical company close the exact same deal a couple of months later. PAULO FONSECA: Pharmaceutical companies are major supporters of political campaigns. It is also absolutely legitimate for legal for companies to donate to political parties. That is what I call official bribery. It is an official way of exchanging favors with political parties. ANA CAROLINA FREIRE: Because, unfortunately, we have this awful system: we are the ones feeding this system. ALEXEI BONAMIN: But what about social subsidies, the direct income transfer we referred to earlier? Could that not also be considered a sort of bribe as well? Initially it was about very poor people, but today the Bolsa Familia [targeted social welfare] program has become very distorted; a way to hold on to their power. Why is Lula so efficient at slowing the growth of the minimum wage, based on the slow growth of the GDP, but not the Bolsa Familia? That way people would realize that for the program to be sustained, the country has to grow. Otherwise, you are just putting these people in a bubble, a world separated and disconnected from the society. And that is why the electoral map is red and blue, we are dividing the country. We have people disconnected from the real world. PAULO FONSECA: The good news is that none of us will be bored by repetitive cases, or lack of cases. The landscape is quite “caliente”. I am not responsible for compliance in my company, and it is not a secret that Amgen signed an agreement with one of the American authorities to have a separate compliance strategy, audited by an American law firm. It is a corporate integrity agreement. But what I see here in Brazil is private bribery. Just like paying 50 bucks to the electrician to speed up your installation. This is the type of thing that requires a cultural change. CLAUDIA MAHLER, TOZZINIFREIRE ADVOGADOS: One thing that I am seeing at medium-sized, family-owned businesses, those that historically always had a considerable degree of corruption, and used “caixa 2” [slush funds] etc., is that, when an international companies arrive seeking to make acquisitions, they suddenly realize they are losing money. Because, if the potential acquirer conducts a due diligence, these family companies will fail. They are beginning to realize that they need to be more compliant and avoid certain types of behaviour, otherwise they will limit their growth moving forward. I hope the new law can help in this sense. TIM GIRVEN: We come back to the idea of an isolationist or protectionist Brazil and the outside world ‘breaking in’. CLAUDIA MAHLER: Exactly, and they realize they need to be compliant, otherwise they cannot do business with the US, and as the markets grow, Brazilian companies are paying more attention to that. TIM GIRVEN: So in one sense, while these protectionist policies remain in place, Brazil itself remains with in a sort of bubble. Obviously I am not saying there are no other countries with corruption problems; half of Europe has major corruption problems. But there are international standards that apply in all markets. Moving away from the protectionist model is, finally, going to be absolutely essential for Brazil’s ongoing development towards the position in the world that the country certainly feels it should occupy, and that its size, population, natural wealth etc., would suggest it should obtain. Unfortunately we’ve run out of time. May I just take a moment to thank all of you for attending today; thank you, Ricardo, for your presentation, it has played a major part in our conversation; and my particular thanks to TozziniFreire for both sponsoring and hosting this round table event. 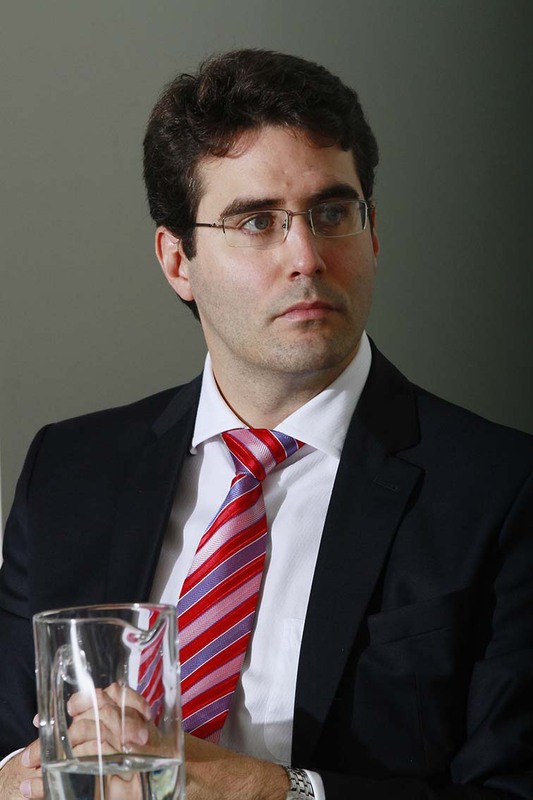 Thomas Gibello Gatti Magalhães, Banco Máxima S.A.